Many used 2009 Jeep Wranglers vary in fuel economy based on aftermarket customizations and modifications. The biggest culprit to MPG are larger off-road tires that are common on Wranglers. Understanding the exact MPG can be just as challenging as determining an accurate price because of the modifications many owners perform on their Wranglers. Listed below are the factory quoted MPG, fuel capacity and items to look out for when evaluating the fuel economy for a used 2009 Jeep Wrangler. Listed below are various technical and functional modifications / features that will affect a 2009 Jeep Wrangler’s gas mileage. Some of these changes to the stock design can have drastic immediate effects (i.e. 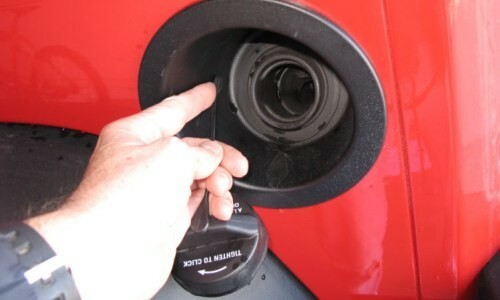 4 – 5 miles per gallon) while others only create a slight change that could take hundreds of miles of driving to notice. While the list of ways to improve a 2009 Jeep Wrangler MPG is similar in length as the ways fuel economy can be negatively impacted; they have far less impact. Many of the items on the “improve” list are more designed to help with horsepower, maybe adding up to 50 max. The reality is that if a 2009 Jeep Wrangler is lifted and oversize tires are put on it (33” – 35”) it is likely to get 10-12 miles per gallon. This can be remedied via re-gearing and one or more of the items on the improve list, however this will be negated by any added weight. Additionally a full soft top or (Safari, Trail Jammer, Tonneau Cover Combo) are ideal for the best gas mileage, as a hard top adds over 100 pounds and no top allows for more wind drag when driving.